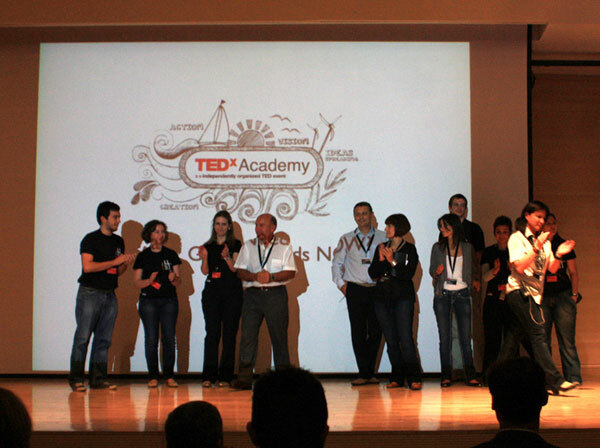 This passed October, TEDx Academy Athens, became the talk of the town, once again. A speech marathon, people from all over the world, visionaries, dreamers, gurus, professionals, experts, talents were all there to change the rules of the game. People, who have achieved something by thinking outside of the box, played a small or big role to make life better and enlarged the network around us. The event welcomed a thirsty and hungry audience, eager to be inspired, breath clean fresh air, devoid of an economical and moral recession that's whipped society lately. This year the focus was on the exploration of the global and radical changes that are shaping our lives within the deep Greek crisis. 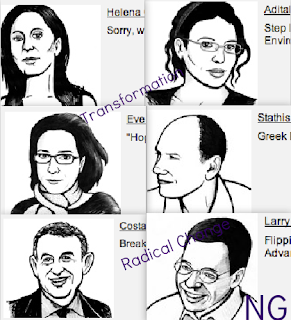 Have a watch at the video, TEDx Academy Athens Thoughts (featured above), to see attendees’ feelings and insights about their current realities. Among one of the speakers this year is Helena Chari; she's one of the most significant presences at TEDx Academy Athens. Her talk entitled, Sorry, We Are Open: stands for open for dialogues, to solve problems together, to build conversations as foundations of cooperation, to act selflessly and to open our minds on what science and media are showing us about being humans. Even though Greece is painfully late in taking advantage of the latest digital prosperity professionally, Greeks seem to be highly intrigued by the social media phenomenon. Have a watch at this marvelously inspiring speech of a woman, Helena Chari who loves the Internet, proudly explaining why (featured above via TEDx Academy Athens). Chari has been the Managing Director of TNS ICAP, since the company’s beginning in 2002. Chari’s extensive experience in marketing, market research and advertising, have helped TNS ICAP grow into one of the largest and most successful agencies in the Greek market, in just a few years. “What makes us human is our social nature, and the Internet is proof of this” says Chari, who finds social media as the new model for transformative thinking and the future of marketing. Greece, late in Internet penetration, has managed to create trust in what social media can do for brands, since 44% of users tend to talk positively or negatively about brands. The marketing industry has entered a new era with consumers at the forefront of major branding activities. The digital world has transformed us from information receivers to critical thinkers and active cooperators. Brands can gain substance and become the talk of the Internet world. According to Helena Chari, it’s time to remodel systems and accept that change can be reached, if we focus on our social nature and that Internet comes to be a useful approach for such transformation. TEDx Academy Athens had a common message throughout the speeches overall. Besides political, financial, cultural and ethical crises, the underlying message is that everyone has the power to change, with the focus on creativity to push the human race forward; and that our contribution has to be made on a personal level as active and responsible citizens by Stepping Forward. According to the TEDx Academy's vision, the time to act is undoubtedly now, especially for Greece. To learn more about TEDx Academy Athens, go HERE, and to learn about TNS ICAP, go HERE.